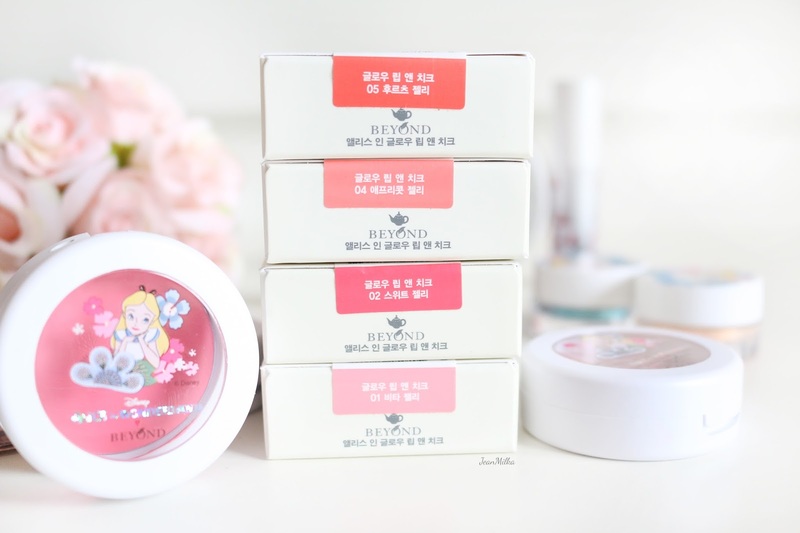 A couple of months ago I blogged about Beyond Alice in Glow Cream Shadow. I almost forgot I have this article shortlisted in my drafts until quite recently, when I was once again grazed by the loving presence this lil cutie pie. 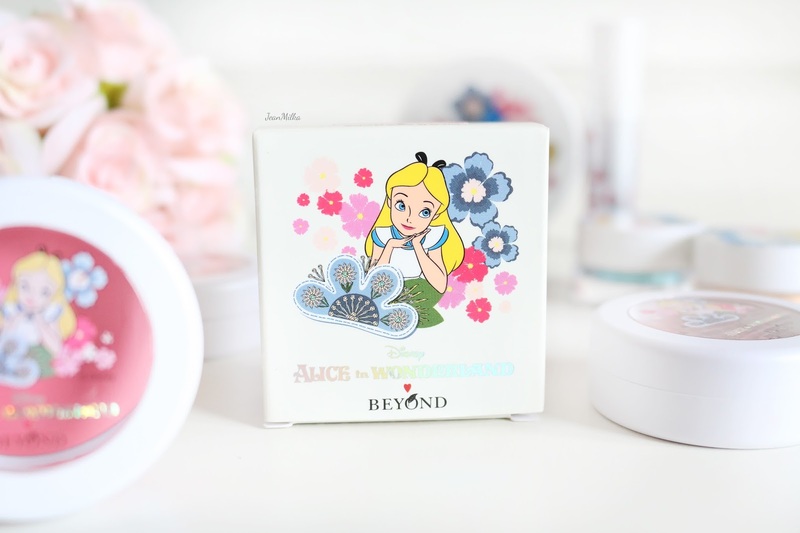 Alice in Wonderland is another product from Beyond Cosmetics. A love child of their partnership with the widely loved and enduring franchise that is “Alice in Wonderland” (thank you Captain Obvious. 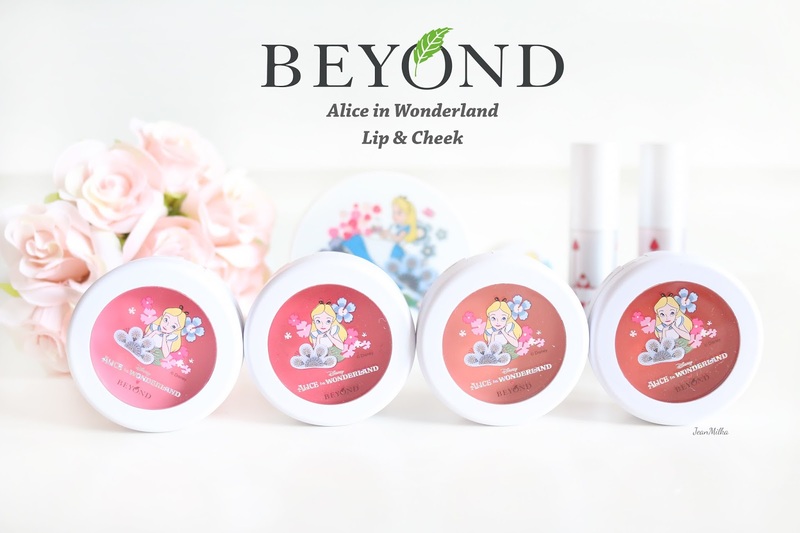 The Beyond Alice in Wonderland Lip & Cheek is a cream product that sets out to accomplish a powdery finish once it blends with your skin. It can be used for both your lips and cheeks. Apart from the top lid’s artwork, I don't have any other complaint about the packaging. It comes in a small, circular jar with (as I’ve mentioned before) a transparent lid attached to it. The clear lid makes it easier for me to find the shade I was looking for. The size of the packaging is small enough for you take with you during your travels yet big enough for you to effortlessly dip a blush sized brush. By the way, I kind of forgot to mention that these products are limited edition. But I’m pretty sure you can still get them since it's still listed on Beyond Korea official website. Beyond Alice in Glow Lip & Cheek comes in 5 colors and I have collected 4 out of those five. All of the color selections are natural and gives a nice glowy result. The colors are either pink, peach or orange. The product itself is consistently creamy, easy to blend, and gives away a subtle color. No wonder they refer to the colors as "Jelly”, it does indeed have translucent hint like regular jelly. I don't like to use these as a lip product. The reason why is that in my opinion, the colors dissipates all too fast after you apply them on your lips. 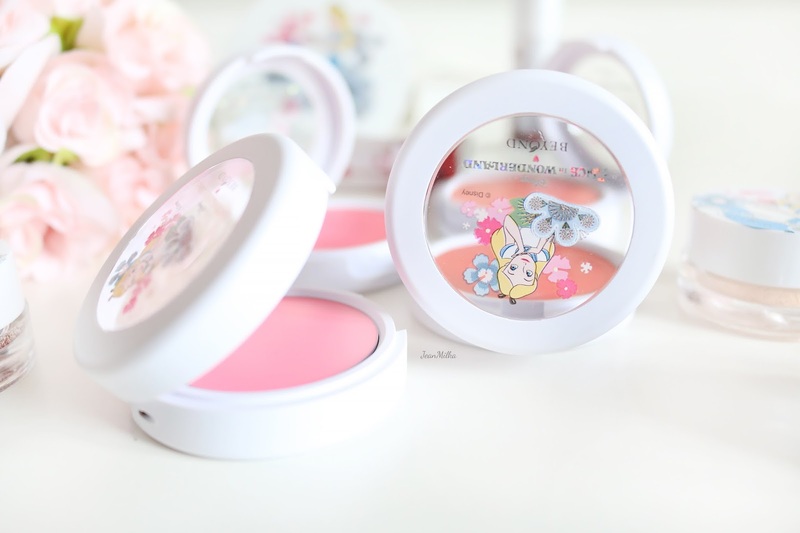 But I really love its cream blush function. 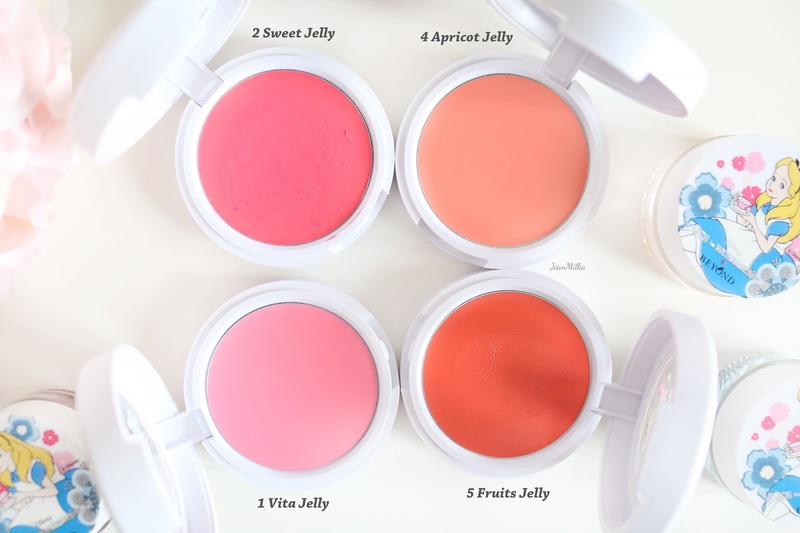 As a cream blush, the quality is superb and it lasts for roughly about 3-4 hours. The product fades away slightly faster due to my oily skin but does leave noticeable hints of its beautiful colors. 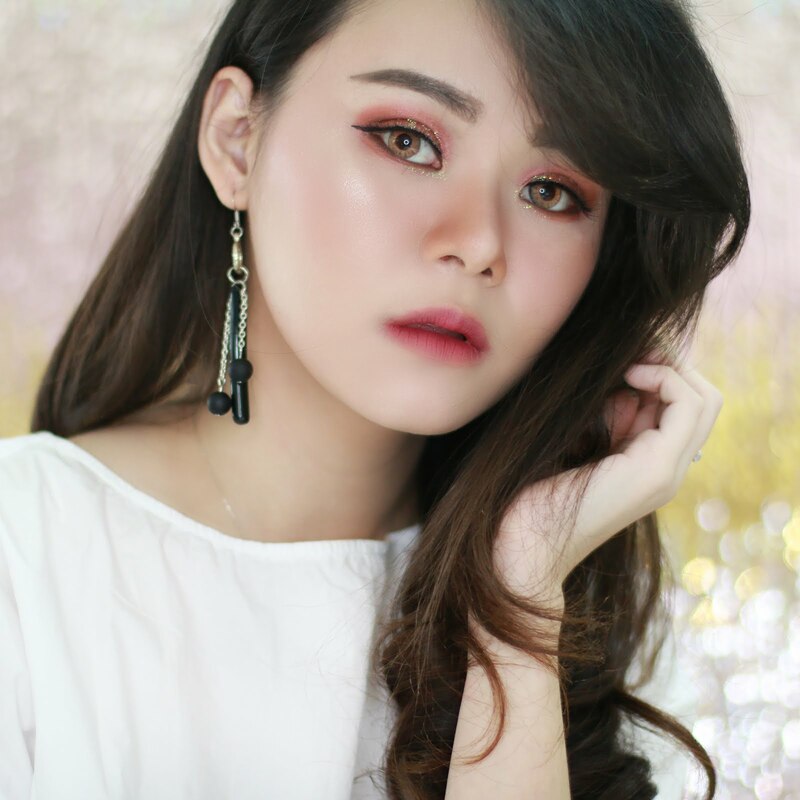 This is really perfect for a natural glowy makeup look, just like Alice's makeup style. I don't have the third color which is Coral Jelly. So below I include the swatches from Beyond Cosmetics. Another plus point for Beyond for providing swatch photos that looks exactly like the real product. 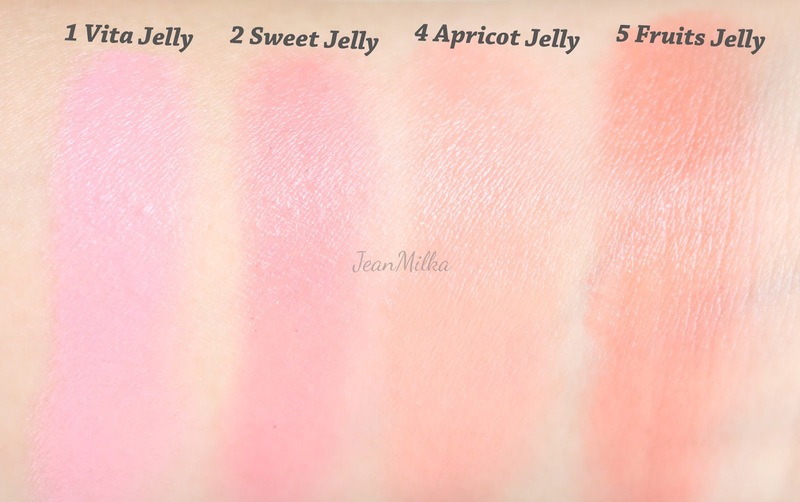 My favorite shade is number 2 Sweet Jelly which is a perfect bright pink with peach undertones. 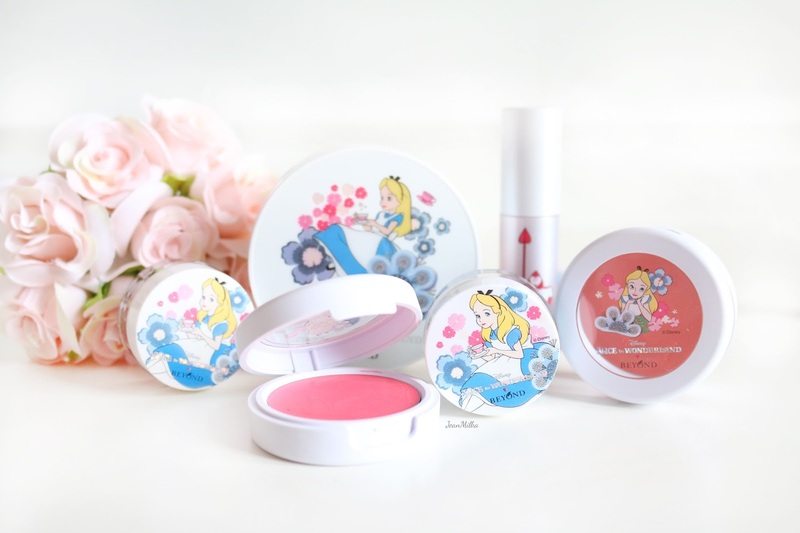 4 komentar on "Beyond Alice in Glow Lip & Cheek Collection | Review & Swatch"